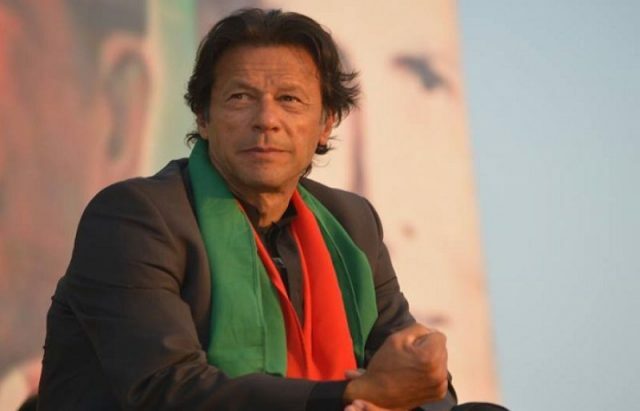 During an interview that aired on Tuesday night, Pakistan Tehreek-e-Insaf (PTI) chief Imran Khan said that his party would use “any strategy” to win the upcoming general elections and defeat the Pakistan Muslim League-Nawaz (PML-N). “We will also do seat adjustments where we feel PTI does not have a strong candidate against the PML-N but some other candidate opposed to the Nawaz league can win the seat,” Khan explained. Khan admitted that there were internal differences in the party and “it was very difficult to stop them”. He explained that “we tried conducting intra-party elections in 2016” and consequently two groups were formed and the “public fighting” between Shah Mahmood Qureshi and Jehangir Tareen was a “fallout of that situation”. Moreover, the PTI chief said that his party decided not to field any candidate against the Pashtun Tahafuz Movement (PTM) leader Ali Wazir in South Waziristan as a “gesture of goodwill” in the upcoming general polls. “I have always said that we need to listen and resolve Pashtun demands while working with them,” said Imran Khan, adding PTI wants a resolution of their genuine demands. Earlier on April 11, Imran Khan said that he supports PTM in many of their demands. “I will meet COAS General Bajwa and discuss with him about removing landmines and easing check-posts, besides the core issue of missing persons in Federally Administered Tribal Area (FATA),” Khan stated. He further said that after 9/11, the tribal people suffered the most and faced daunting challenges. Furthermore, Mir also questioned Khan about his relationship with Sita White. The PTI chief responded by saying that the Sharif brothers used his personal life to gain political advantage. “I have been in politics for 22 years now and they keep attacking my personal life,” Khan also said.